The ubiquity of fitness-tracking technology in recent years has meant people are generally becoming more conscious about their health. Increasing mainstream availability of sensors on wearables such as smartwatches – that are able to give us better feedback about what’s happening in our bodies – means more of us are discovering insights into our health and looking at how we can improve it. But with so many health-improving gizmos on the market, it’s not easy separating those that are truly beneficial from those that are nothing more than a gimmick. With that, I’ve picked out 15 of the best health tech to improve your general wellbeing, and listed them via the area of your health they will improve. The Omron Evolv is a clinically-validated wireless blood pressure monitor that is light enough to take anywhere with you, while also being super easy to use. The device lets you easily measure, record and share your blood pressure data with your family or doctor using an app. It is also really well designed, which I was pleasantly surprised about considering its function. Using a heart health algorithm, called Advanced Accuracy, the device measures more data points and eliminates interference from movement for more precise, clinically-accurate readings. 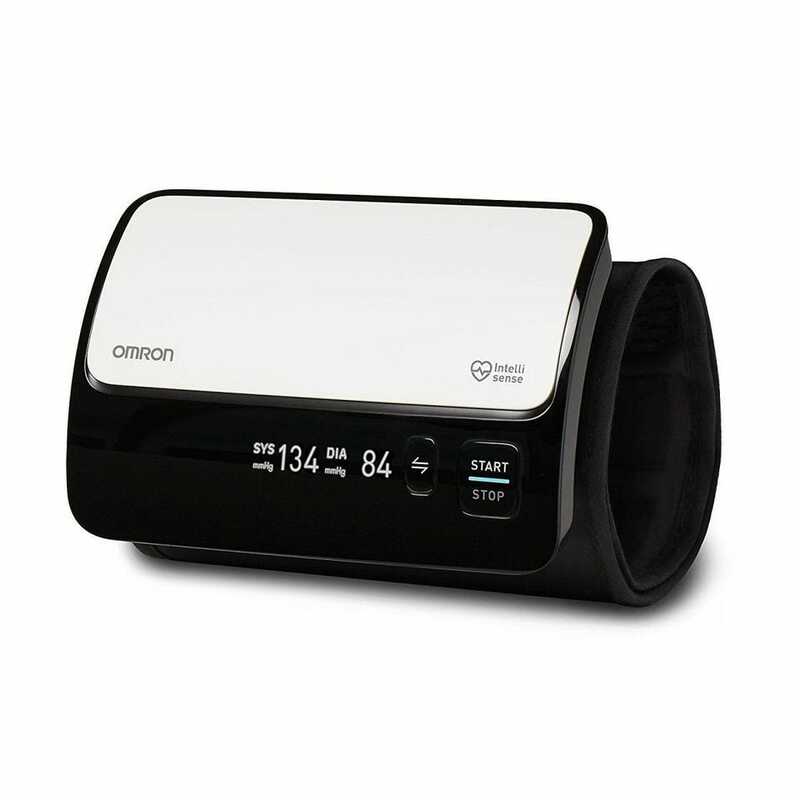 It also lets you easily measure, record and share your blood pressure data with your family or doctor using the Omron Connect App. Compatible with iOS and Android devices, the Evolv is one of my favorite health gadgets, mainly because it works so effortlessly while giving very accurate results, displayed simply in a well-designed app. 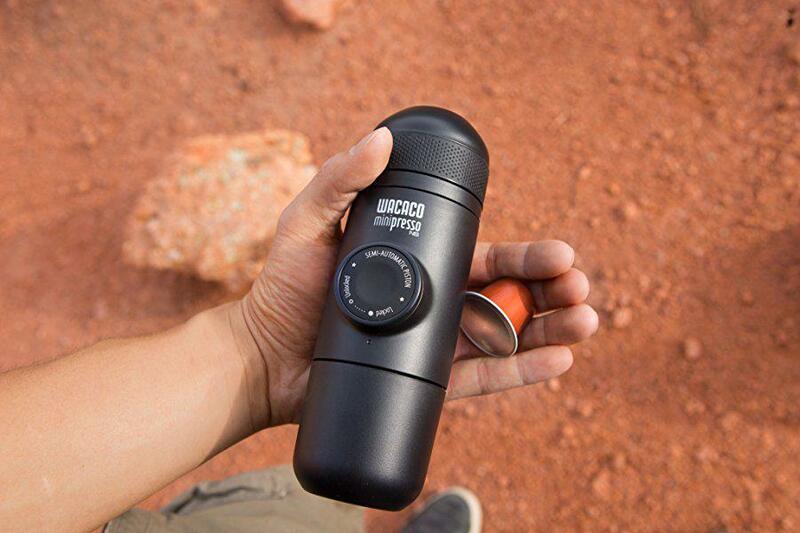 Whether your next trip away involves backpacking, camping or slumming it in a hotel with no coffee-making facilities, the Wacaco Minipresso espresso maker is small, light and portable enough to ensure you never miss out on your morning coffee again. And it’s a good job. Regularly slurping a cup of the black stuff is associated with endless benefits, such as a lower incidence of Parkinson’s and certain types of cancers, and even reduced rates of DNA damage. The Center for Cohort Studies at Sungkyunkwan University, Seoul, recently noted that drinking coffee could also reduce the risk of clogged arteries, which can lead to heart attacks. A cup of coffee a day keeps the illness away. There’s nothing quite like the smell of a freshly-ground cup of coffee to get you out of the sack in the morning, and Sage seems to agree. 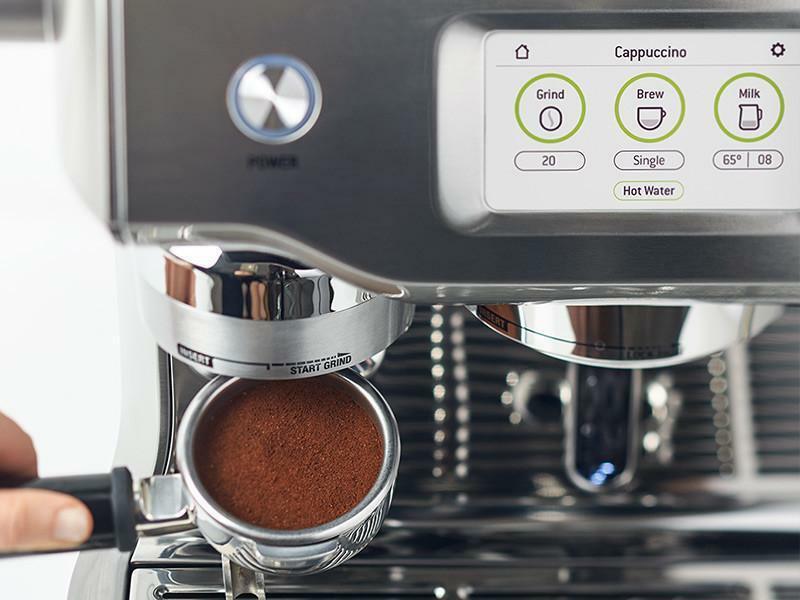 With its Oracle One Touch coffee maker, this espresso machine is fully automatic, making coffee shop menu favorites at the touch of a button. It pulverizes your beans before every brew for extra freshness using its built-in grinder and even lets you adjust the coarseness of the grind with the flick of a knob, making switching things up for specific tastes super easy. There’s also automatic micro-foaming and tamping, just to make your morning that little extra effortless. And why wouldn’t you? Not only does a morning cup of the black stuff help awaken you for the day ahead, but it keeps you looking good, too. It’s been proven that fresh coffee is one of the very few natural substances that has been proven to aid fat burning, with a study in the American Journal of Clinical Nutrition stating that caffeine can boost the metabolic rate by up to 11%, helping you stay lean. The perfect gadget for when it’s cold outside and you just don’t have the energy or patience to start making a big healthy meal: this soup maker by Hong Kong firm Scott is like none other in its class. 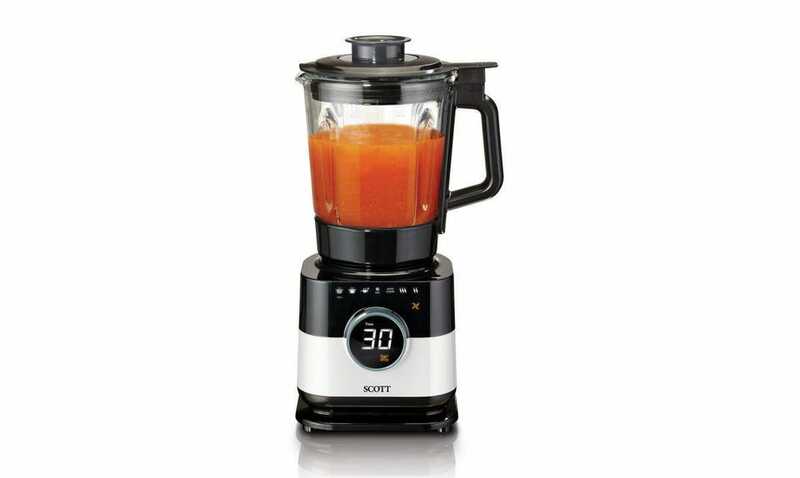 Not only does it let you construct nice healthy soups with little effort, but it boasts five automatic programs: thaw, soup, sauce, smoothie crushed ice and then the function we all want: Auto Cleaning. There’s also an Expert mode that touts three mixing speeds and two cooking temperatures, from gentle to intense. It’s the ideal kitchen winter appliance when you want to eat your five a day, but don’t really want to put all the effort in. ZeroWater claims to be the only water filter brand that delivers the equivalent to purified bottled water into your home. Using a pour-through system, with an aim to deliver the best filtration possible with their premium five-stage ion exchange technology, this filter removes virtually all total dissolved solids (TDS), a claim which no other filter jug or dispenser can put their name to. This filtration system is certified by NSF International for the reduction of Lead and other heavy metals such as Chromium 3 & 6 and Mercury. 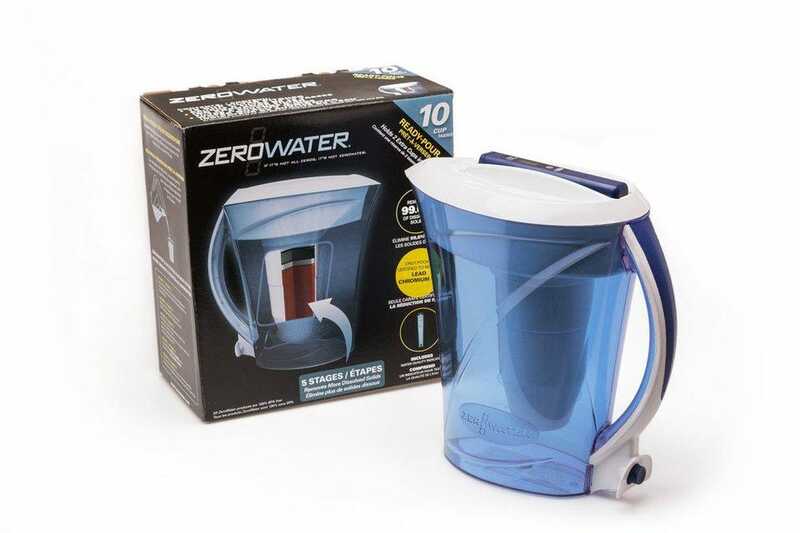 The Good Housekeeping Research Institute has also revealed that ZeroWater removes more total contaminants from water than a regular Brita filter, making it a must-have for all homes in the UK. Smart scales are by no means anything new, but the Fitbit Aria 2 scales take weighing yourself to a whole new level. As well as weighing you, the connected scales will check your heart rate, water percentage, body fat, bone mass and muscle mass and keep a record of all this so you can compare your vitals over time. Accurately measures body weight, body composition (including body fat percentage, muscle, water and bone mass) and body mass index (BMI). Working with Apple Health, Google Fit, and Samsung S Health, the scales connect to the free Fitbit app for iOS, Kindle, and Android, allowing users to share data easily and set goals and reminders to achieve goals. Better yet, the smart scales can also distinguish your measurements from someone else’s, meaning everyone in your household can share them. If you live in a big city, chances are the air that you breathe on a daily basis could be doing damage to your health. All cities have pockets, with some areas that are worse than others. How would you know if this bad air, caused by pollution, is having an effect on the place you spend your most time: your home? This is where Netatmo’s Healthy Home Coach comes in. 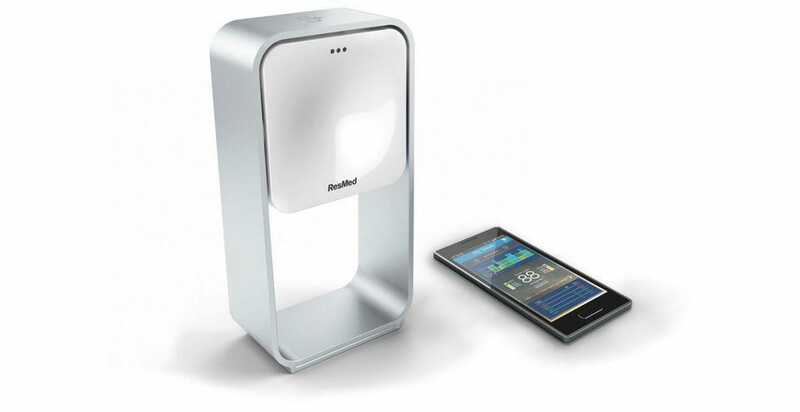 It detects air quality level, humidity, temperature, and noise at home, and gives advice on how to create a healthier environment. You can also connect multiple healthy home coaches to your smartphone to monitor several rooms. Fiber is one of the most important nutrients in helping us prevent heart disease, diabetes, weight gain, some cancers, and also improve digestive health. However, many people don’t get enough fiber. 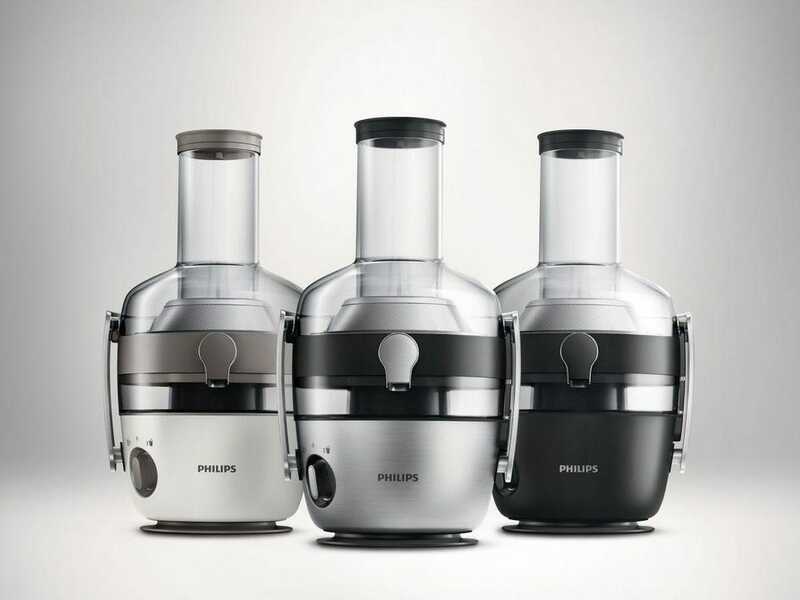 One way of ensuring you do is with a simple to use juicer such as Philips’ Avance. The juicer has FiberBoost technology, which enables you to choose the texture of juice you prefer, selecting with the switch of a button from a refreshing clear juice to a more creamy juice with up to 50% more fiber. It’s also super easy to clean, meaning you’re more likely to keep up the juicing and not hide the appliance in the back of your cupboard once the novelty wears off. 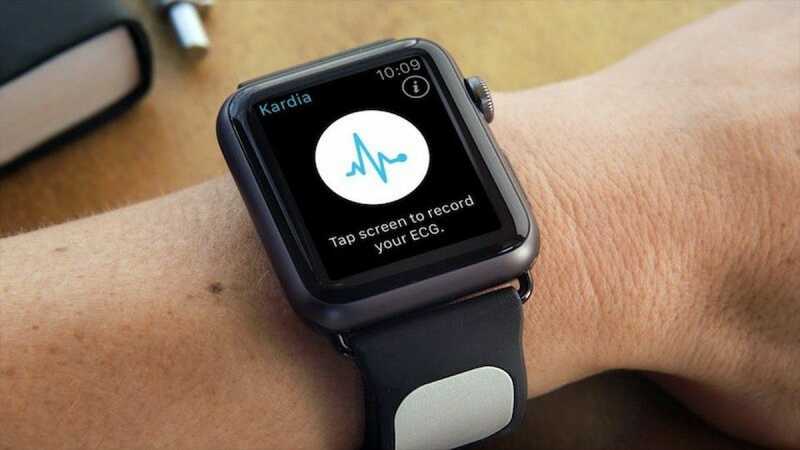 If you’ve already got yourself an Apple Watch but you’re particularly worried about your ticker and want to step the heart-rate monitoring level up a gear, then the Karida Band is a good choice. It’s essentially a medical grade heart monitoring Apple Watch strap by Silicon Valley health tech company AliveCor, but what makes it special is its electrocardiogram (EKG) tech that is designed to pick up palpitations, shortness of breath and other reasons for concern which could increase the risk of a stroke. This is a must-buy for any Apple Watch user even slightly worried about their heart as it’s already been proven to pick up vital signs of heart-related problems in several users, even heart attacks. While you might not think of your trash can when you think of keeping healthy, it’s actually becoming a bigger health problem by the day. Dealing with waste is a global problem, with 1.3 billion tonnes generated each year. And the more we produce, the more valuable space it takes up in our home and outdoor areas. But Joseph Joseph is looking to counteract that with the Titan, a compaction bin that holds three times more waste than a similar-sized unit after compaction. The tech involved in its patented, hygienic compaction design means only the inside of liner touches the trash, leaving you with clean hands and a clean bin. Titan also features anti-tear technology that guides the liner downwards as you compact, and air channels so a full liner can be easily removed. 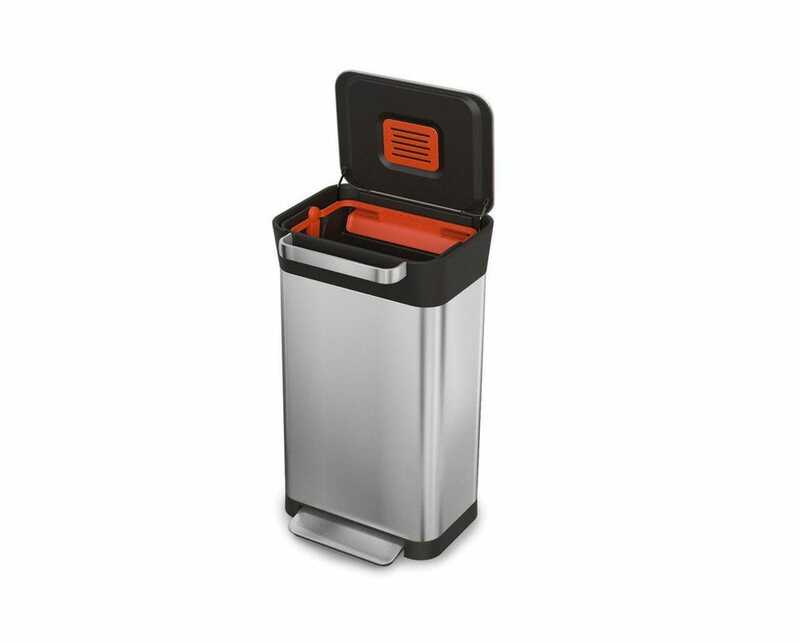 Then, there’s an odor filter discreetly integrated into the lid, which holds a replaceable carbon filter, to help eliminate any unpleasant odors. 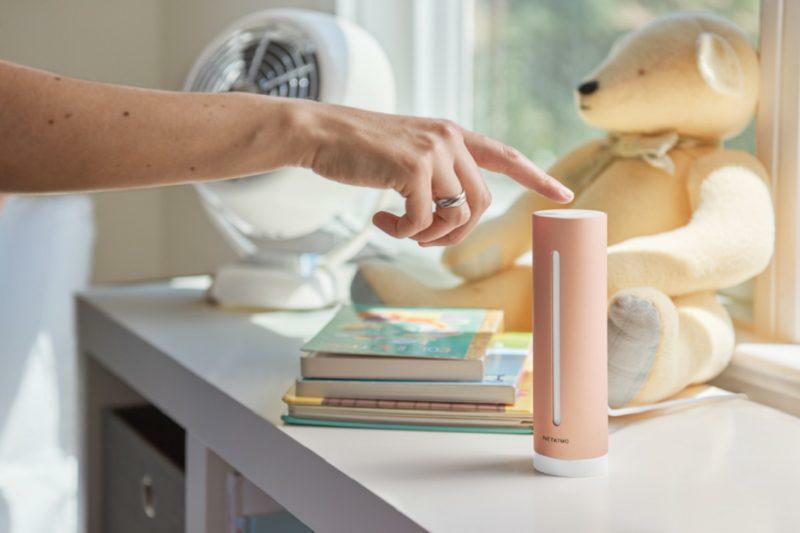 Just when you thought they couldn’t make anything else connected, Withings goes and makes a connected thermometer, allowing you to keep track of that fever. And like the Body Cardio scales, the digital thermometer links to your Withings account via the app and keeps tabs on your temperature over time. With 16 infrared sensors taking 4,000 measurements, it’s accuracy is a game changer for anyone who often falls ill. 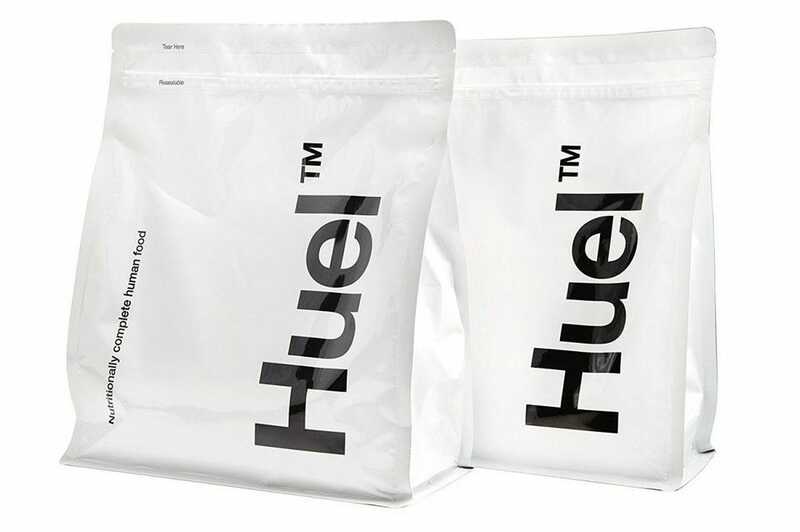 Okay so it’s not strictly a health “gadget”, but plenty of technology went into making Huel a thing. Offering a nutritionally complete meal in powdered form, Huel can be dissolved into water to give you all the 26 essential nutrients needed to live a healthy balanced lifestyle on a daily basis. How? It’s made from real food such as milled down oats which are high in fiber, releasing energy slowly to prevent snacking in-between meals. Due to the ingredients list of Huel, the company says you could theoretically live off it 100% of the time. I say theoretically because I can promise the severe cravings for real food would make this easy to do. Used by athletes at all levels, such as British Olympic triathlete Vicky Holland, FireFly is clinically proven to aid sports recovery, with benefits including the reduction of delayed onset muscle soreness (DOMS) after exercise, aiding the recovery from a sprain or strain and reducing swelling. 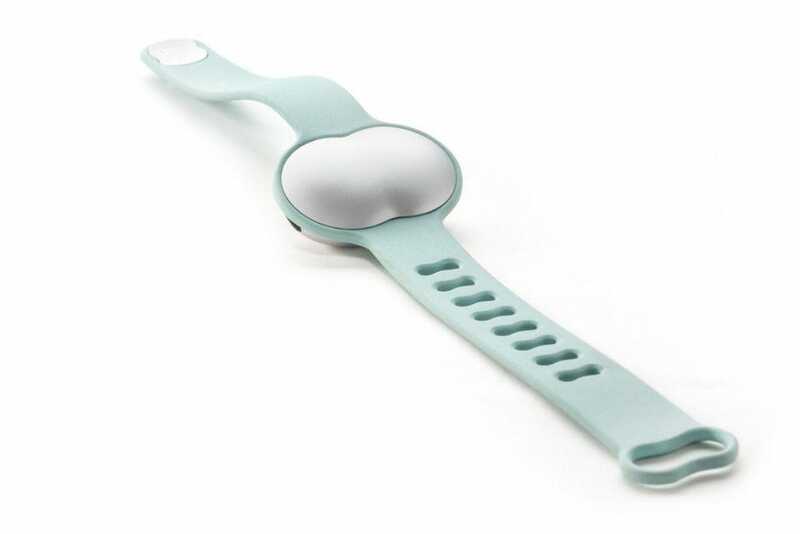 Ava is a fertility monitoring bracelet founded in Switzerland by data scientists, experts in wearable technology, and women’s health researchers all with the aim of bringing innovation to women’s reproductive health. The bracelet is able to precisely detect a woman’s entire fertile window in real time, so they can better plan their monthly cycle. The S+ is touted as “the world’s first non-contact, fully comprehensive sleep tracking system”. It features patent-protected SleepSensor technology that tracks, analyzes and improves sleep at home without the need for a wearable, electrodes or mattress strips. Sitting beside the bed like any old alarm clock, the S+ uses out-of-the-ordinary calibrated respiratory and bio-motion sensors to measure and analyze sleep stages, recording of the movements caused by the expansion and relaxation of the chest with breathing as well as body movements such as position changes, arm twitches, and shrugs. The system connects to a free iOS and Android app to record the quality of your night’s sleep and a Smart Alarm system allows users to set a window for the device to wake them up naturally when they are in light sleep, so they’ll feel more refreshed. A great health gadget if you have trouble getting up on a morning.